You must be familiar with the Character and Citizenship Education (CCE) if you are watching over your child’s education and learning. You should know that there is a new segment of the CCE. The new segment includes “Family Time” (for Primary 1 & 2 pupils) and “Reflect and Act” (for secondary school students). The syllabus pointed out the important roles of parents in instilling appropriate values to their children. The launching of the new CCE textbooks is spearheaded by the Education Minister Heng Swee Keat on January 2, 2014.The Education Minister said that the new CCE will be given to Primary 1 & 2 pupils from this year onwards. Secondary school students will also receive such books. 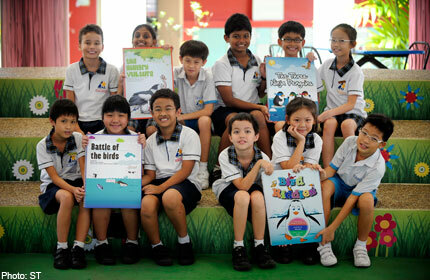 The textbooks should be valued by the pupils/students, educators and parents. The new CCE syllabus is designed based on the experiences of students every day. The new syllabus hopes to provide opportunities for students to relate better. The students will learn the three overarching plan – Choices, Relationships and Identity. The three overarching plan covers 6 domains that will start from one’s self to the family, school, society, nation and the globe. CCE also includes other guidance modules from the ECG (Education and Career Guidance) to the CW (Sexuality Education & Cyber Wellness). These modules will tackle the needs of the students. For the primary 1 & 2 pupils, CW and ECG will be incorporated in their guidance periods. For the secondary school students, CW and ECG will be incorporated in CCE. The name of the CCE textbook will depend on the MTL (Mother Tongue Language). The name of CCE textbook in Chinese language is “Good Character, Good Citizen”. In Tamil language, the name if the CCE textbook is “Citizens with Values”. Lastly, the name of CCE textbook in Malay language is “Citizens with Good Character”. As mentioned earlier, there will be a segment for “Family Time”. This will give parents ideas and activities on how to tighten their bond to their kids. Children first learn in their homes. Whatever learning that kid has in school, parents should reinforce it. The new segment will present parents with activities that can encourage VIA (Values-In-Action). For the secondary school students, there is “Reflect and Act” which suggests activities for reflecting and internalizing.